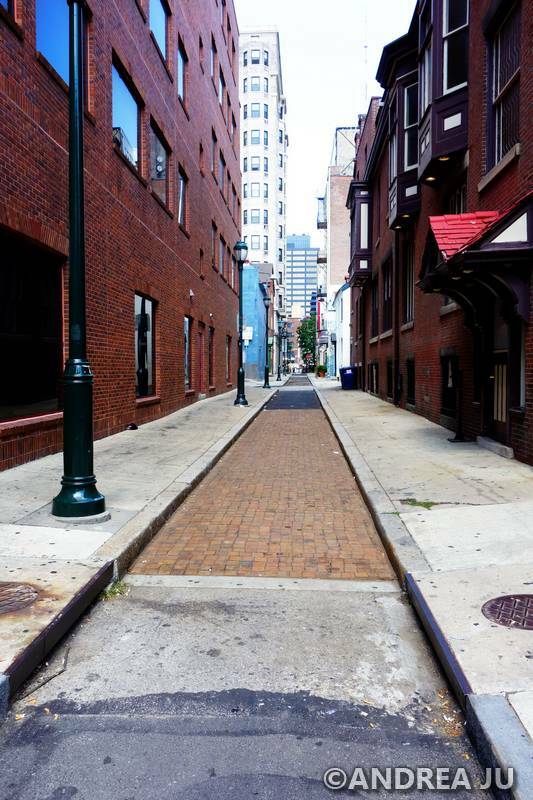 In the 1830s it was very noisy in the bustling city of Philadelphia. 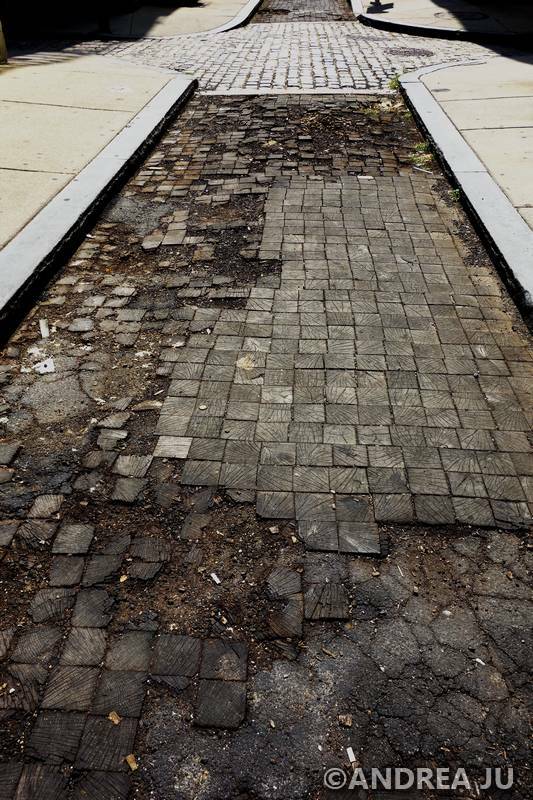 Camac Street is a landmark of a time when Philly was testing out new pavement. 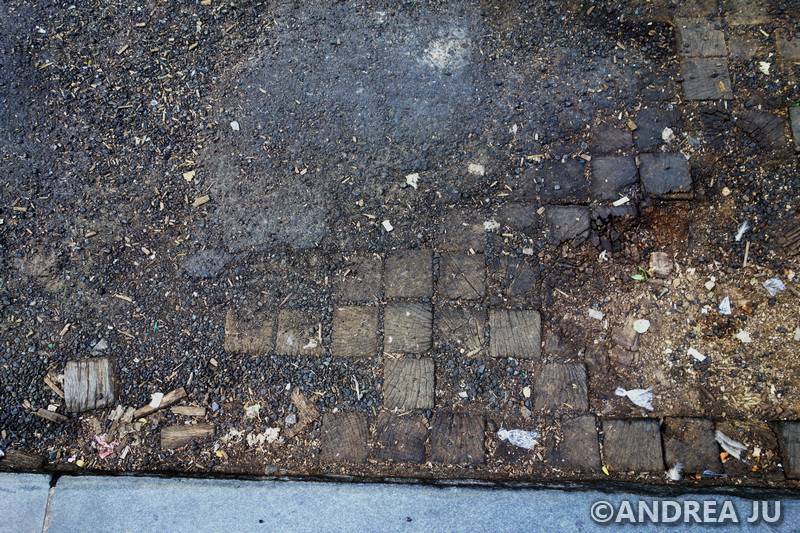 The clop-clop-clopping of horse hooves on cobble stone was the largest source of noise pollution. Local businessmen and the city government came together with the idea to use wooden blocks to absorb the sound. The wooden blocks didn’t only absorb the horse hooves sounds. They soaked up moisture from rain, snow, and especially horse urine. 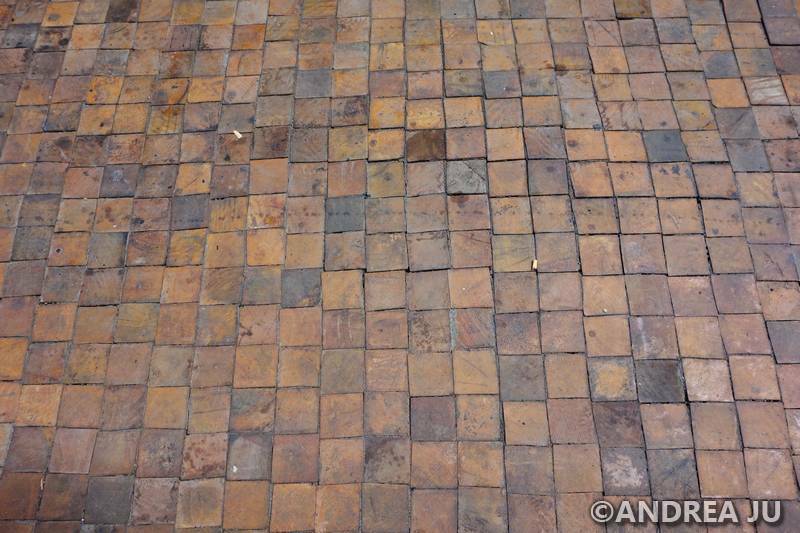 The pine and oak wood block streets were extremely stinky and rotted and crumbled easily. By the time automobiles came around they were mostly gone. The street was kind of smelly. There is a patch that’s been restored. In the 20th century the area developed into an artist enclave and the street was seen as an oddity. Conservationists took to conserving this charmingly quaint block. 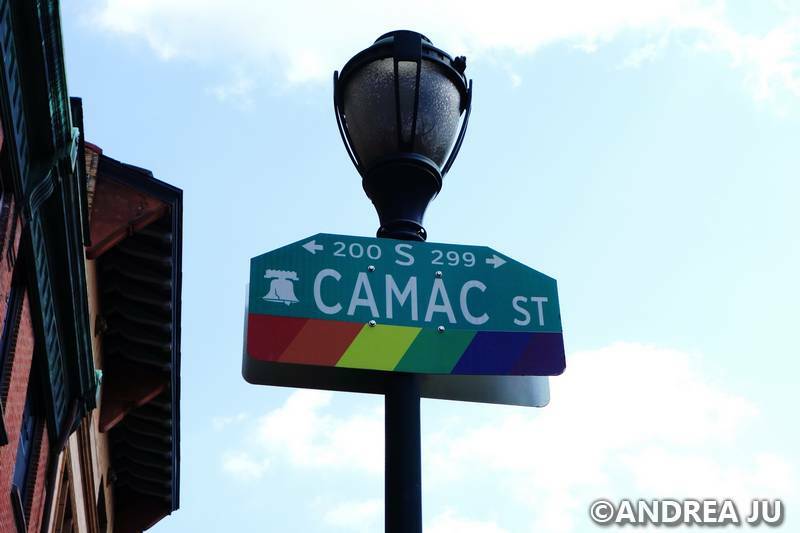 Camac is located between Walnut and Locust and between 12th and 13th Streets. It even had mosaics on some buildings. The street sat untouched till the 1990s. What you see today was restored to look like when it was first installed except they used machine made weather resistant wood blocks today. 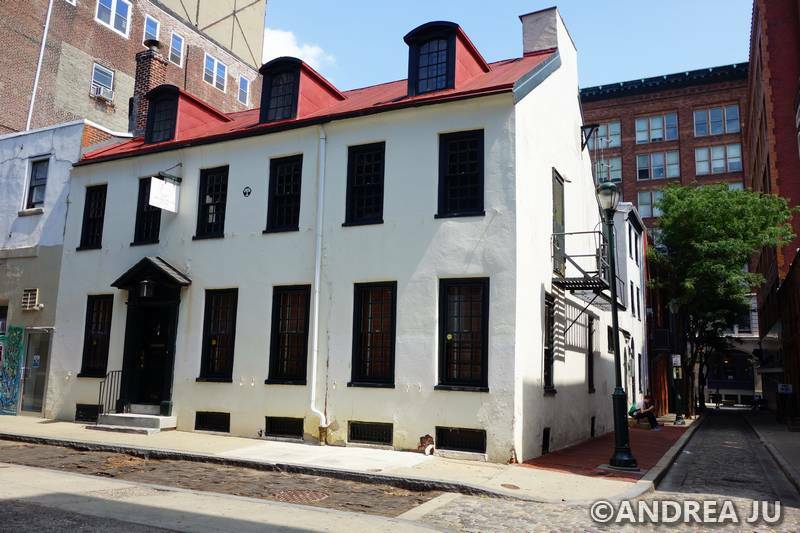 Posted on September 4, 2015 September 4, 2015 by jebusandandrea	This entry was posted in History, North America, Philadelphia, USA and tagged Explore, History, Philadelphia, Philly, Photography. Bookmark the permalink. Read about the wood street somewhere on line and thought I should check it out. Can’t imagine wooden streets! Thank you for this fascinating insight. Smells like a throw back to medieval England, though there was more than horses urine in that combustible mixture! Ohhhh…now I have to look up the wooden streets of the world! 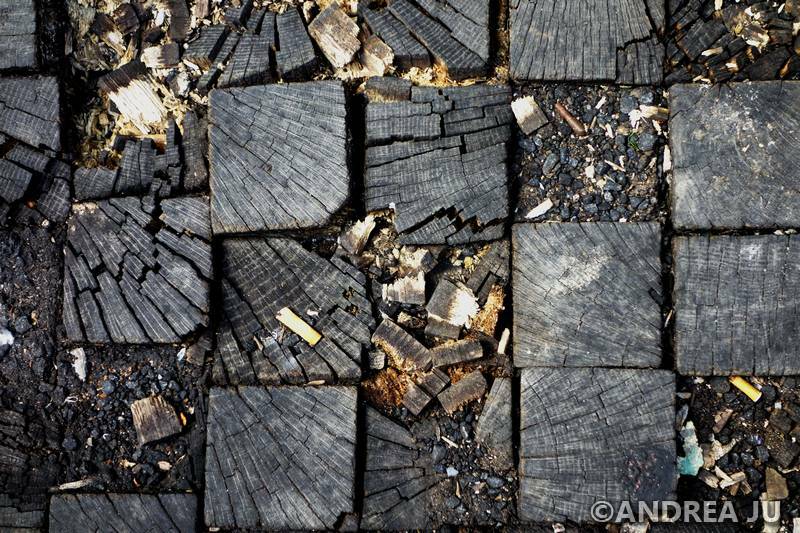 It is amazing that any of those wood blocks have survived this long … as absorbent as wood is I can only imagine the smell! 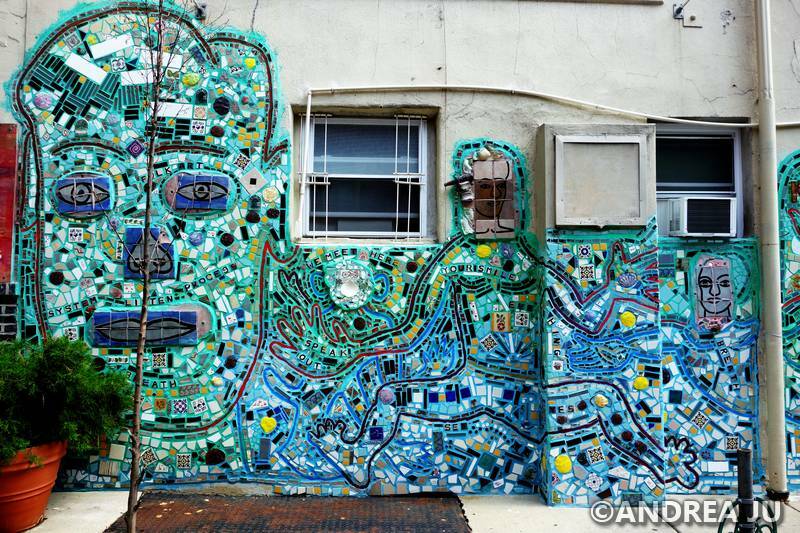 Love the photos of the roads & murals – thanks for sharing! I know the blocks that are in good shape are the restored ones. I’m not sure about the ones with tar over the them. They looked old and falling apart but not sure if they are original. woods. They were kind of stinky. With horses for transportation back then, I can see why they were stinky! I like the mosaic wall. 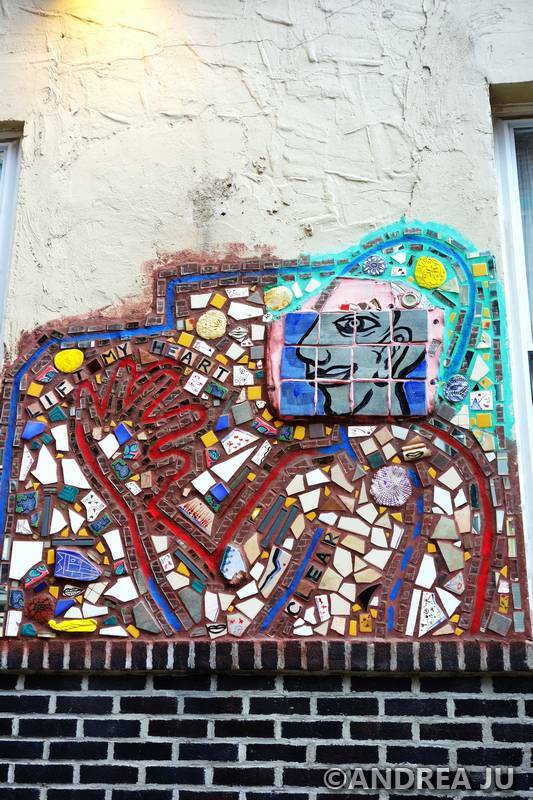 If you are ever in Philly – check out Magic Gardens. Mosaic buildings. 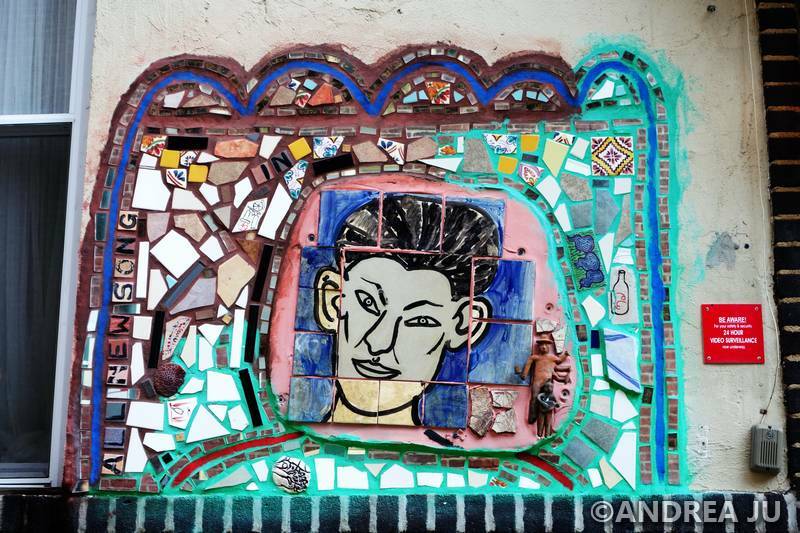 nice framing of the one mosaic with the tree in the face… a fun addition to the artis’t original piece. was it pleasant to walk on? I guess so. I didn’t notice too much of a difference. Felt like the ground to me. It was kind of hot on this day and the it did smell a little funny. Not sure if it was the rotten wood or maybe the sewers. But it’s a cute little street.